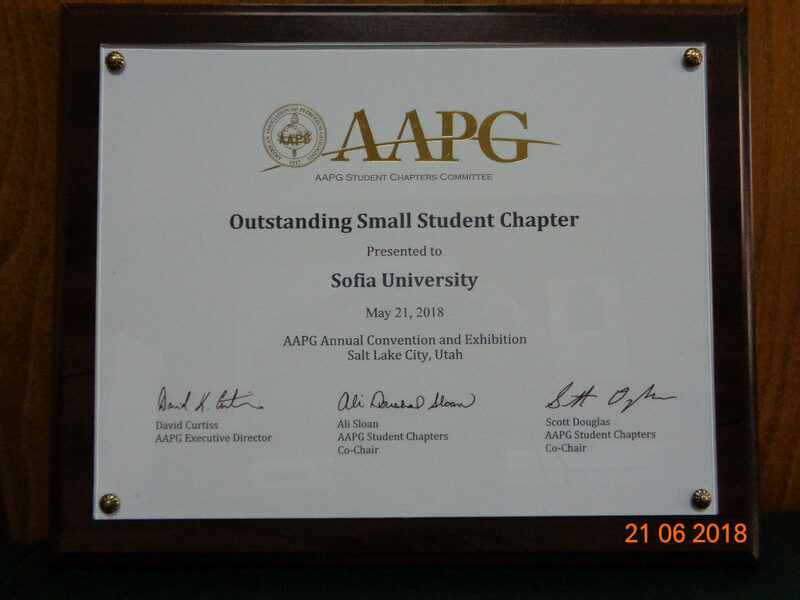 The Sofia University Student Chapter of AAPG was awarded the Outstanding Small Student Chapter title. This honor comes with a financial prize and a commemorative plaque at the AAPG Annual Convention and Exhibition in Salt Lake City last week. The full list of winners of the Outstanding Student Chapter Awards is below.